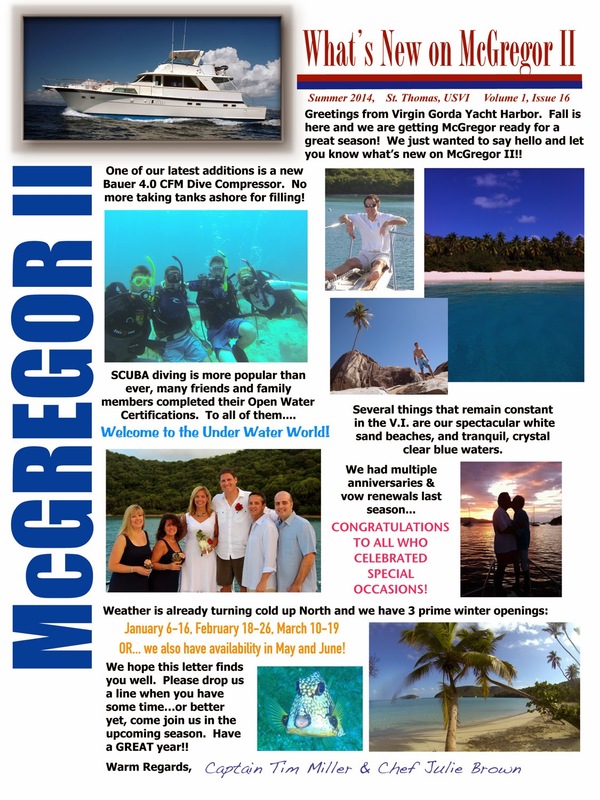 Tim and Julie of McGregor, a 58-foot Hatteras with diving included (Tim is a dive instructor), sent us their Fall 2014 Newsletter that we would like to share with you. 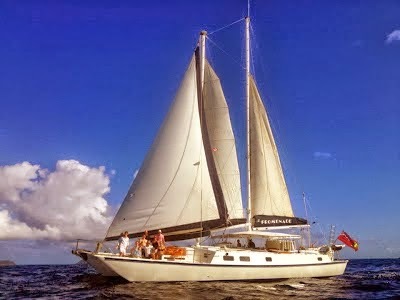 McGregor is air conditioned and can accommodate up to 6 guests in 3 cabins, each with private head/shower. The master cabin, aft, has a Queen bed, desk, TV/DVD. The middle cabin has two single beds that can be converted into a queen, with its bathroom across the hallway. The forward cabin is ideal for children with its bunk beds, TV/DVD, and ensuite head/shower. McGregor is a great choice for families, group of friends, and honeymooners too! Just a short post to get the news out that one of our favorite charter yachts, Promenade (65-foot trimaran) has openings for their cabin cruise week of February 21-28, 2015. This is a great way to experience a charter on Promenade without having to get a group together. We will put up more information soon but in the meantime contact Paradise Connections for more info. RATE: $4100 per cabin (per couple not per person). All inclusive 7-night charter, except one dinner ashore. Diving at regular rates.